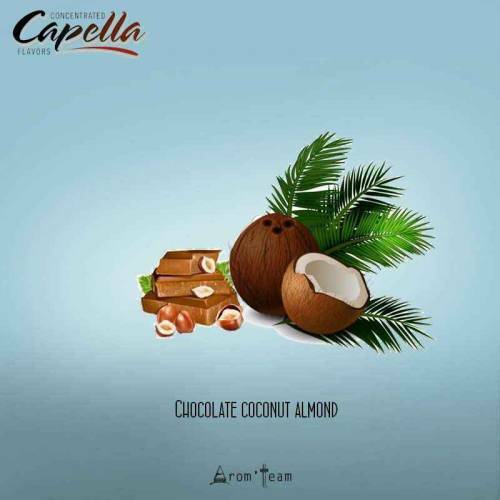 If you like coconut, almond and chocolate bar for a subtle e juice, this wonderful Capella flavor will not deceive you ! 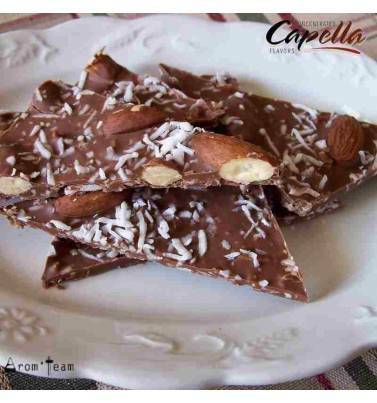 This chocolate with coconut and almonds is a tasty flavor which is sufficient on its own as it is nuanced. You can also mix this flavor with other flavors giving free rein to your imagination. 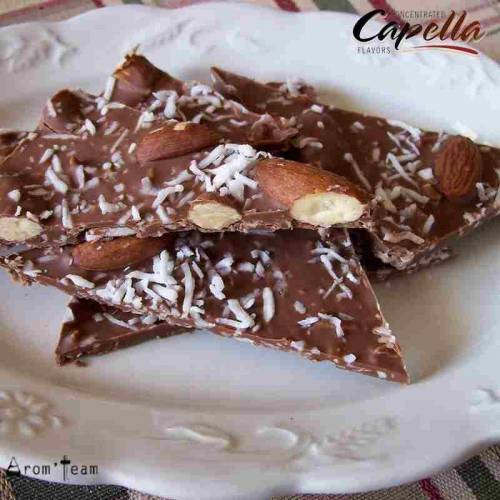 In all cases, Chocolate Coconut Almond is a concentrate to discover. 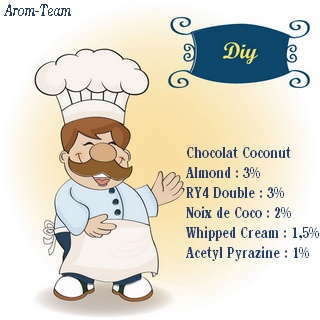 How to dose this chocolate coconut flavoring ? What is the maturation time to make a bounty e liquid ? Give this elaborate flavor a one week steep. Is this aroma only dedicated to the electronic cigarette ? Capella aromas are food grade. You can use them in pastry, ice cream, etc.